Now Lets go to the Chapter!. Chapter 23: The Dark Ones. We Start our Chapter with Chrono goig out of the store and right there in his Bicycle he received a strange package. Later we see him again at Card Capital 2, Kamui is happy that Chrono ended up not leaving Vanguard, but now there is the thing of the points Since Chrono is no a Grade 0 and all again. What?!. Chrono Apologizes and decides to leave the Team?!. After that Chrono leaves. Later Shion and Tokoha are eating at that Restaurant of the other time and are atlking about the thing with Chrono, Tokoha wants to help him, while Shion wants to leave him be, since he will come back when he is ready. All in all both of them didn´t got an agreement and decided that everyone would do what they think is the best. The Next Day at the School Tokoha asks Chrono if there is something she can do to help him to gey to be Grade 3 again. Chrono just responded her that she must leave him be. 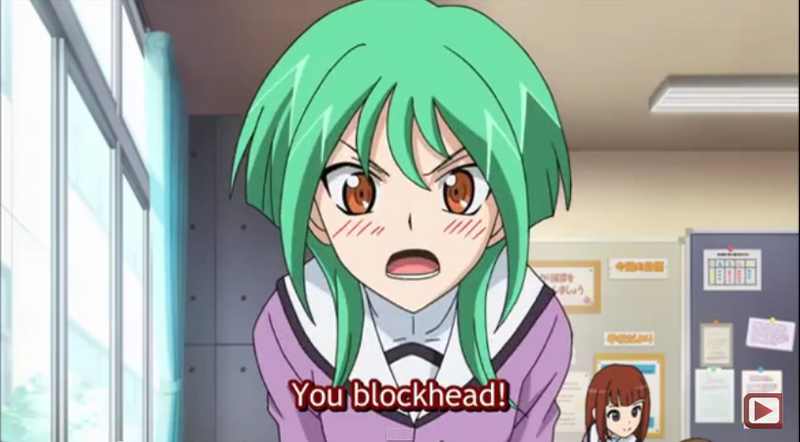 Tokoha keep pushing but Chrono Blockheadiness (is that a word?) just made her go and angry. Chrono jst repeats to himself that he left the team because he doesn´t want to be a burden anymore. Later Shion is thinking about the Team situation, but still doesn´t try to do anything. Anyway, later both Shion and Tokoha are at Card Capital 2 trying to figure what to do. Kamui told them that leave Chrono Be, and reminded us about the time (Seson 1 of the original Cardfight!! Vanguard Anime) when he left the team (On the Nationals after every member of the Team Q4 -sans Kai- screwed it up ) But thanks to soemone who always waited for him and always supported him (Aichi) he came back. So they should support Chrono. In Another Part, Chrono goes out of a Castle-like thing. Wondering what happened. Then Shion and Tokoha come to hrlp him, CHrono didin´t want their help but both of them made him realize something. The three of them are Friends. And as Friends and Teammates, they will help each other, So after Chrono did not say Thank you to them, the Team enters. The Place was dark, and creepy and a weird voice is coming from some place. Any way. That person has three proofs to them. The first is to make a tower of Coushions- err i mean Souls!- in order to get a light. They got it easy...Chrono couldn´t do it when he was alone, by the way. The Next one it was in a room full of cosplaying objects. Ad the mission was to Cosplay the Card of Blade Wing Reijy. And after some embarassing of Chrono they did it!. The Last Proof it was to pass a Labyrinth. But that labirynth in truth it doesn´t have an end, but Tokoha discovered that it was made of Polioretano (don´t know the english word, sorry :P) so they crossed easily just by breaking the walls!. And Now!. It is time to see the master of this Castle!. Vlad III, The Demon King Who RUles the Darkness!!... And he looked worse than i imegined it. Anyway, it´s time to fight!. The Fight goes toe to toe until Vlad III starts soul charging like mad (Soul charge is an hability that allos you to put some cards under your Vanguard Card, the Dark Irregular and Genesis Clans are known to use that hability a lot). And in real life he is doing that with the Coushions. Anyway, Vlad bring his Grade 4 card, Gilles de Rais and do his habillity, which is to forbid the oponent to block with the cards of Grade 0 and 1. But Then Chrono uses his Grade 4 card, a New one!. And needless to say. He wins, and now he is Grade 2!. Yay!. Then Chrono meets his destiny, to be Vlad IV and something. Those 3 weirdos are too frigging weird to the Still Unnamed Team and the three of them leaves. But now theya re a team again, and officially, Friends. A Good Chapter all around, although not as good as the ones that were the last two. Bt still, it was fun , and now we are seeing that the three of them are friends now, and are a team!. Also Chrono is a Grade 2 fighter again, so its a win!. All around it was good.